Description: Originating in Mexico an still vastly popular there, tomatillos are known for its fruit surrounded by an indedible husk. The fruit itself represents a green cherry tomato although its flavor is typically very tart with a spicy kick. To reduce the tart flavor tomatillos are usually cooked although they can be eaten raw. 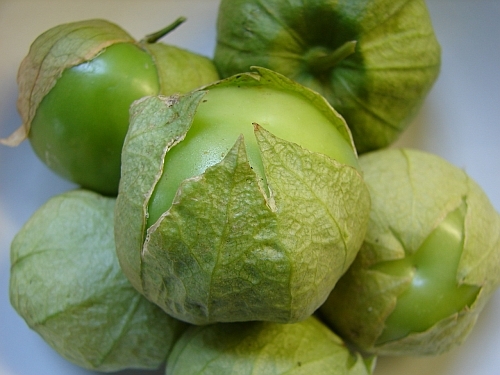 Tomatillos are also a main ingredient in both guacamole and salsa verde. Kitchen Pharmacy: Tomatillos are seen as being very beneficial for skin tissue, blood circulation and even the immune system.